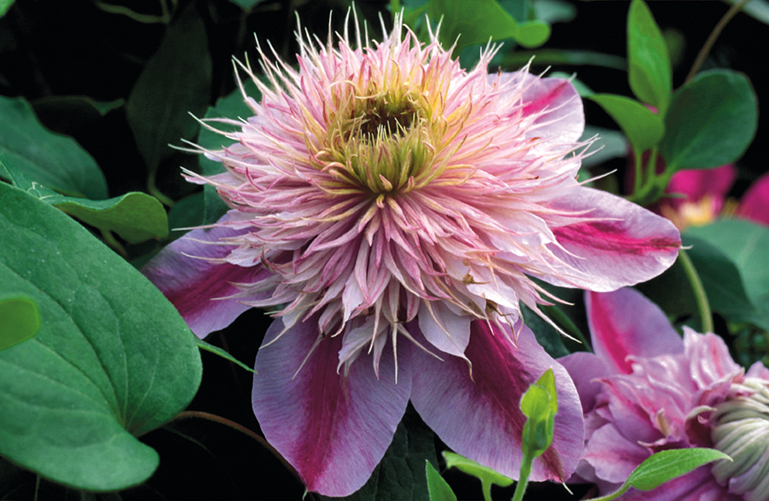 This week we've chosen the Regal Empress Clematis. Every mailbox, every fence post, every porch rail deserves a splash of color and drama. 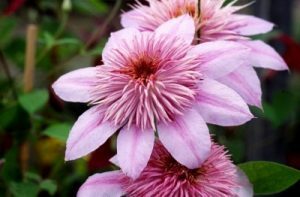 This prolific, compact climber offers large, double flowers in shades of pink over a long season. It's important to add beautiful vertical interest to any garden fence or trellis. A great choice for a container or left to ramble through shrub beds. 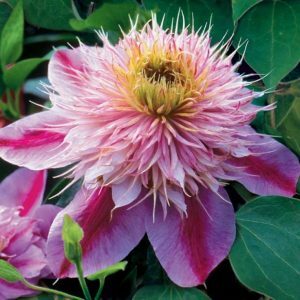 This clematis variety enjoys life in full or partial sunlight. It enjoys a nice drink at least once a week, but if it's super hot you might want to give it a little more refreshment. This climber can reach heights of 4 to 6 feet and can span 2 to 3 feet, but it will need some support. It has an especially long bloom season and blooms in both spring and fall. If you love the style of cottage gardening, then this vine is the perfect choice for you.